Ooops … you missed a spot. I’ve always worked for challenger companies; we were second or third or fifth in our market segments. We were punching upward, trying to slay the dragon at the top. I don’t know why I never worked for a category leader like IBM or SAP. It would have been good experience. I did notice, however, that executives who came to my companies from category leaders were never very successful. They were supposed to show us how big companies worked. But they didn’t understand how challenger companies worked. They knew how to punch downward but not upward. David and Goliath – David was outgunned and outmuscled. All he had was a rock so he had to find a place – a small place – where a rock would be effective. It turns out the place was right in the middle of Goliath’s forehead. Achilles – Thetis, Achilles’ Mom, bathed him in a secret sauce that made him invulnerable. When she dipped him, however, she held him by the heel so no sauce touched him there. Where did his enemies aim? 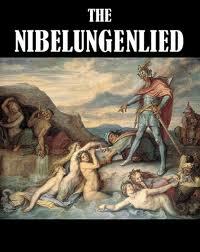 Siegfried – The hero of the Nibelungs, a German tribe, Siegfried killed a dragon and bathed in its blood. As you may know, bathing in a dragon’s blood makes you invulnerable. Unfortunately, a leaf fell from a tree and settled in the small of his back. No dragon’s blood touched him there. Guess what happened to Siegfried. The Death Star in Star Wars – ok…it’s not classical literature but the Death Star is invulnerable. Well … there’s this one small spot … which Luke just happens to find. I was struck that all four epics tell essentially the same story. All giants have a weakness. It’s small but very vulnerable. If you attack anywhere else, you’ll be repelled. If you attack everywhere, you’ll be repelled. Your only chance to win is to find the weak spot, concentrate on it, and don’t get distracted. That’s just what we tried to do in our challenger companies. In one case, we decided that our competitor’s weakness was the inflexibility of their software. We stressed the supple, flexible nature of our systems. In another case, our competitor was far too complex. We stressed the simplicity of our solution and even invented a cartoon character to tout the difference. In both cases, we had a lot of success though we never actually slew the dragon. I see many small companies today trying to do far too much. The secret of punching upward – of slaying the dragon – is to do less, not more.